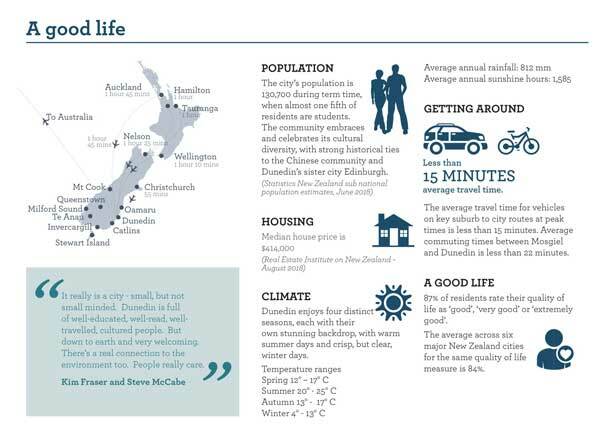 Dunedin’s catch phrase ‘a great small city’ is highly accurate. For a city of 130,000 it has array of things to do and places to go, the quality of public services is remarkably high. It’s safe, with crisp, clear air and beautiful sunsets. You can sometimes catch a glimpse the southern lights (Aurora Borealis) from the city’s hilltops and admire albatross rising from Otago Peninsula. The city is home to New Zealand’s only covered multi-use sports and entertainment stadium, drawing in world class musical, sporting and social events. Indoor and outdoor sports facilities abound and Dunedin’s founders had the foresight to design a winding Town Belt of parks through the city’s hill suburbs, making it easy to be active and to spot wildlife on the wing. Dunedin’s coastline has dozens of quiet bays, many of which are great swimming or surfing spots, and it’s not unusual to have a whole beach to yourself. 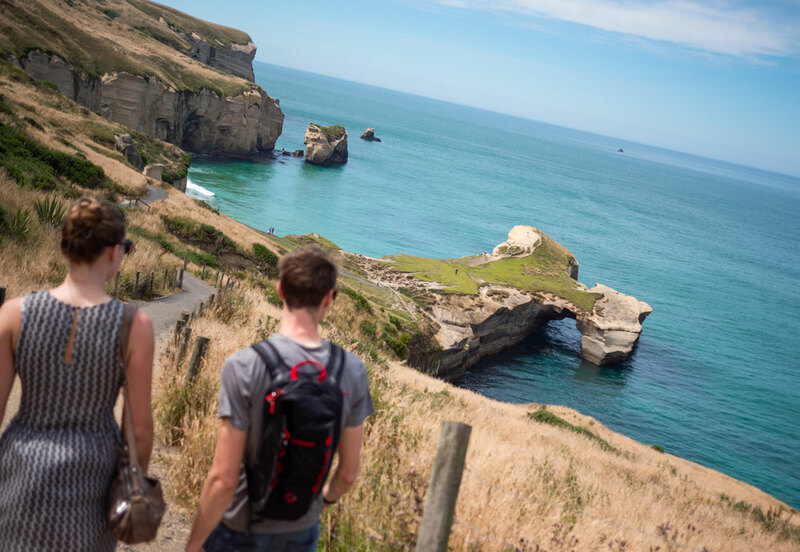 As the ‘wildlife capital of New Zealand’ you won’t have to go far to spot some of the country’s rarest creatures, including the yellow-eyed penguins and sea lions that reside here. The local geography and culture make it a mecca for water sports, rock climbing, golf and surfing. It is also the gateway to Central Otago, New Zealand’s leading tourist region, so weekends in the mountains are just a couple of hours drive away. Dunedin’s attractive city centre radiates out from the Octagon plaza, which is also where many of the restaurants and bars can be found. 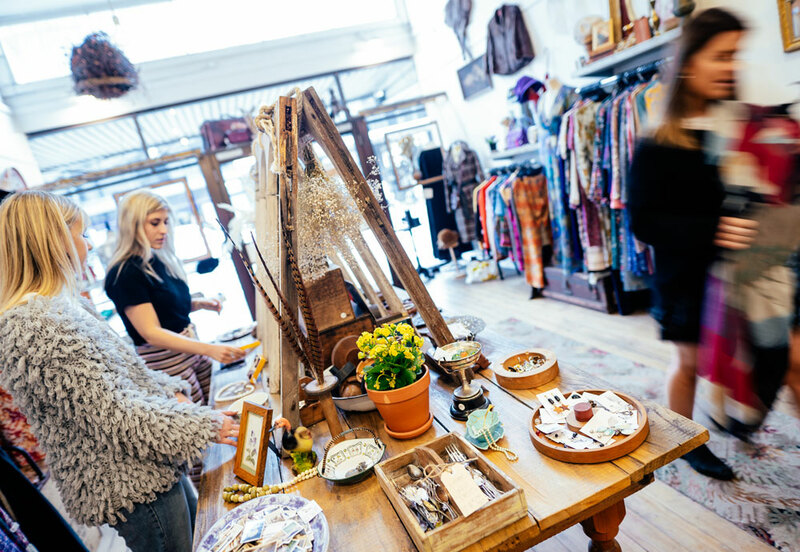 It’s an easy stroll in any direction to find diverse eateries, shops both big and quirky, and a wide array of entertainment. There’s always a varied calendar of festivals, performing arts events, which often take place amongst the city’s many Victorian and Edwardian buildings. Leisure time can be absorbed by the plentiful clubs and societies, or by exploring Dunedin’s beautiful coastline and waters. The surrounding hills abound with walking and mountain biking tracks and the streets are increasing laced with safe cycleways leading around the city and the harbour. Parks and reserves beyond the city itself offer plenty of opportunities for daytrips and picnics.